I'm trying to increase the pixel density of an image so that when I shrink it, the image will keep the same resolution, except the pixels themselves are smaller. And please don't blow up at me for those dimensions, and yes it's a Minecraft Skin. I have access to Gimp and Inkscape on both a Windows 10 PC (Slower) and a Windows 7 PC (Faster). CStafford-14 is a new contributor to this site. Take care in asking for clarification, commenting, and answering. Check out our Code of Conduct. 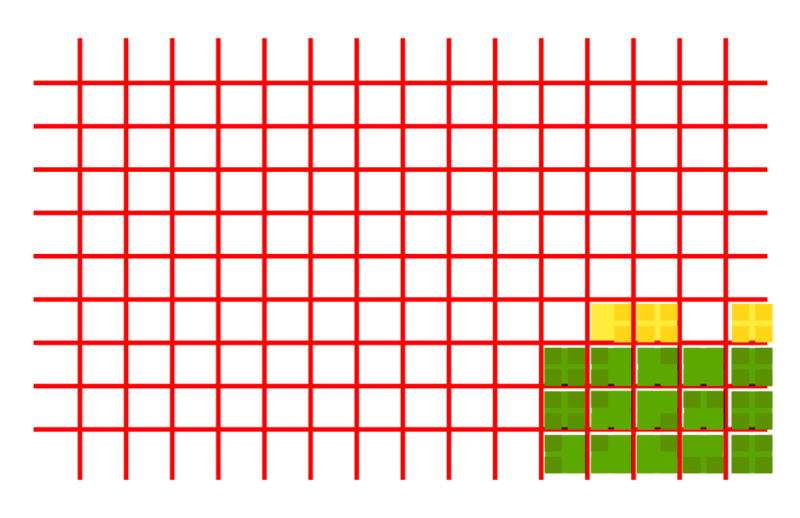 If you downscale a raster graphic (made of pixels) this doesn't make the pixels smaller, this decreases the number of pixels you use in your raster to make up the graphic. 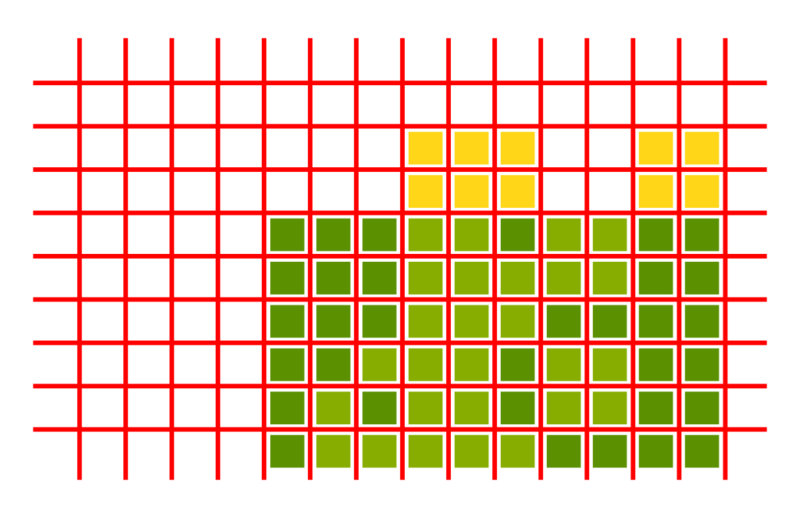 Hence your intended target size - 64x32 - is a per-edge-pixel-COUNT - as in, it will be 64 pixels wide by 32 pixels tall. This means that you are going the other direction from your request - that is, the pixel-density (aka resolution) is going down as you scale your graphic, not up. The use case in which shrinking an image down pushes up the pixel density is printing, in which yes, you can push the pixel density upwards to whatever the high end limit of the target printer is - often in excess of 300 DPI, some go well over 600 DPI. If you scale your image in Photoshop, Gimp, Affinity Photo etc, but keeping in the same 72 PPI for-web file, you will see it resample the image once scaled and see the resolution drop drastically; similarly, if you export out from your native file as .png and force the export dimensions down to your target size, then open the resulting file in an image viewer or Gimp, you will see directly what happens: giant pixels relative to your image - you know - Minecraft style! I downscale the image to 5x4 pixels, and in this process the pixels remain the same size (cos that's what pixels do - they're always the same size on a given display) and the software analyzes groups of four pixels to determine the new pixel in that relative location - hence the loss of details and subtlety of colour treatments when you drop pixel counts. Hopefully this helps you wrap your head around it a bit more. "Resolution" is a number of pixels per unit of length. A digital image has no physical dimension per se(*). The resolution is determined when that image is shown on a physical device, and cannot be better than the resolution of that device (100-300 pixels/inch for a screen). When your image is shrunk to 64x32, whether it is done in ahead of time with Gimp or at run time by Minecraft it will lose **detail* because you cannot show the same thing in 2K pixels than in 512K. Doing it ahead of time save the disk space and probably also saves some CPU. (*) what is the definition of photograph? is it the same for an insect or a mountain? CStafford-14 is a new contributor. Be nice, and check out our Code of Conduct. Not the answer you're looking for? Browse other questions tagged gimp resize resolution scale or ask your own question. Standard pixel density for print?